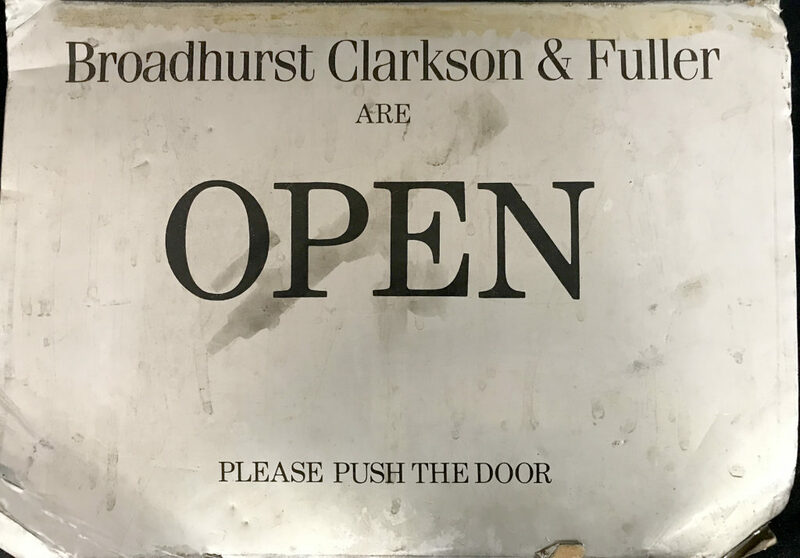 Broadhurst Clarkson and Fuller Ltd is the oldest name in UK amateur astronomy. We have a trading history that stretches back to 1785. Spectacles, microscopes, sextants and quadrants. Terrestrial and astronomical telescopes, the company has a fine tradition of craftsmanship and innovation. Becoming part of the Fullerscopes brand from the 1970’s, the company continued to produce great instruments up until the late 1990’s. Here you will find a comprehensive history of the company as well as old adverts and selected items from the company archive. We no longer manufacture or retail instruments, but we are still here. The company passed to Steve Collingwood, the last company craftsman at BC&F in 2018. It is fitting that the company survives still through the workshop which was always the heart of the company though the years. The workshop still lives through SC Telescopes. There are many accounts of the history of BC&F. Some are accurate and some are not. There will be some errors on these pages, some ( or most) of it may not be wholly in chronological order and that’s OK – there is a lot to cover! There will be pictures that have remained in the company archives, as well as some oddities and documents. There will also be anecdotal stories too. This is to try and convey a picture of the firm that is more inkeeping with the heart f the firm. Some may find interesting. Hence, you will find this is not much of a corporate site. Not all of it will be accurate I’m sure, but perhaps I’m allowed a little poetic license as I am proud to be a part of the story and …. well, I own the company.